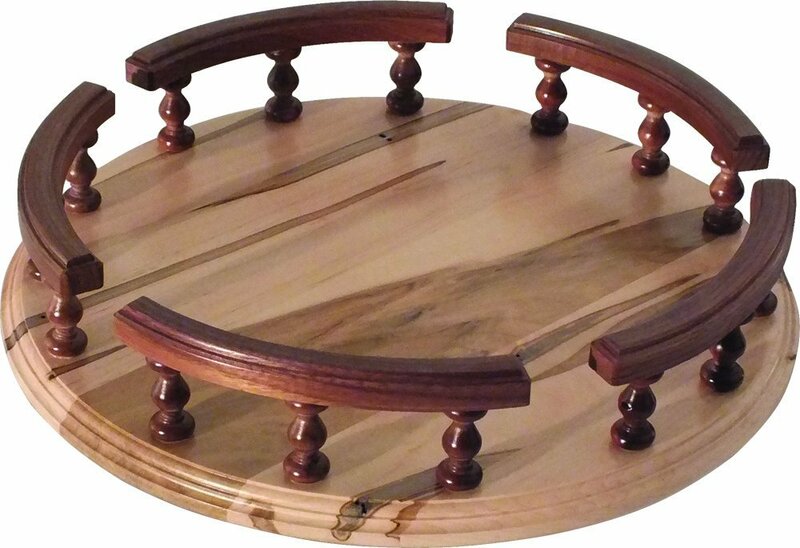 We offer a variety of Amish made Lazy Susan’s! These are perfect for the table tops, counter tops, inside of cabinets, bathrooms, bedrooms, office, anywhere you could find a use for them. We have a variety of styles and sizes to choose from. DutchCrafters Lazy Susans are Amish handcrafted from solid hardwood. They rotate and are the perfect option for the kitchen table, dining table or kitchen counter. Use our turntable Lazy Susans to hold condiments such as salt and pepper as well as napkins. Lazy Susans are usually circular or round but we do offer square Lazy Susan as well as triangle shaped Lazy Susans. Lazy Susans are very popular overseas especially in China where dishes are shared at restaurants instead of individual ordering. At DutchCrafters we offer a wide variety of custom hardwood Lazy Susans for sale that are handcrafted just for you and your kitchen. If you aren’t ready to order your DutchCrafters Lazy Susan then be sure to safe it to your Wish List. Call one of our Amish furniture specialists for custom Lazy Susans.